Lightning strikes the ancient Zapotec temple just minutes after the team has secured its equipment in a tunnel running deep within the building. After scrambling to get a very expensive laser scanner out of the late afternoon storm that is roiling above the Mexican site of Monte Albán, the mountaintop capital of the Zapotecs, archaeologist Elizabeth Lee and I are standing under a tree debating whether to go into the tunnel ourselves when the lightning bolt hits the back of the temple, not 40 feet away. The flash of white and the deafening thunderclap scare us half to death, and I can't help but think that a more superstitious person might wonder if the Zapotec storm god Cocijo is registering his disapproval at what Lee and her small team are doing. Their project, a high-definition 3-D laser scan of a building archaeologists have dubbed "System IV," is designed to produce a detailed record of the temple that will endure. Should the building fall victim to an earthquake or suffer some other kind of damage, the data produced by the scan will ensure it is "digitally preserved" in perpetuity, and the information could perhaps even aid in its reconstruction. Surely Cocijo, the paramount god of a people who were among the first literate cultures in Mesoamerica, would approve of a record that lasts forever. Lee is a program manager for CyArk, a California-based nonprofit that encourages laser scanning of important heritage sites all over the world. After two days of scanning System IV, she and Frank Collazo of Leica Geosystems, which manufactures laser scanners, have collected nearly half a billion data points on the temple (415,026,837 to be precise). Each measurement represents a single point on the structure's surface whose coordinates are known relative to all the others to within a millimeter. Together they make up what those in the scanning business call a "point cloud." A raw 3-D data set that can be used to create a digital blueprint of the building, the point cloud of System IV is a far more accurate record of the building than anything that could be produced by hand measurements. To boot, it's infinitely faster to register points on the temple with a laser than with traditional surveying methods, saving weeks or even months of precious field time. Overlooking all three branches of southern Mexico's Valley of Oaxaca, Monte Albán was a major center of the Zapotec state from about 500 B.C. to A.D. 750 and was first studied in earnest in 1931. Excavations show System IV was built on the site's main, eight-acre plaza around A.D. 450 atop the remains of older structures. The structure might have served the ancient Zapotecs as a kind of amphitheater from which to watch rites being carried out at Monte Albán's main pyramid. Archaeologists will be able to use the point cloud to analyze System IV's facades, which are similar to those found at the ancient city of Teotihuacán in the Valley of Mexico to the north. Conservators can use the high-resolution images to monitor cracks in the temple walls, no small concern in an area that experiences earthquakes on a regular basis. While the data will be the property of the Mexican national park system and ultimately under the control of archaeologist Nelly Robles, Monte Albán's director, they will be publicly accessible through CyArk's website (www.CyArk.org). Beginning this spring, anyone with an Internet connection will be able to view System IV's point cloud, along with those of Maya pyramids at Chichén Itzá and Tikal, and buildings at a host of other ancient sites that are already online. To our relief, the rain stops almost as suddenly as it began, and the storm drifts off across the southern branch of the valley. Now recovered from the close call with the lightning bolt, Lee and I help Collazo load up a small truck with the scanning equipment. Then we start on the bumpy drive down the mountain to Oaxaca City to meet with the man who, Collazo says, "invented the point cloud." Ben Kacyra, the founder of CyArk, was born in 1940 in the northern Iraqi city of Mosul. As a child, Kacyra and his family made trips to the Assyrian ruins of Nineveh, which he credits with instilling in him a deep and abiding passion for the past. After immigrating to the United States in 1964, Kacyra studied civil engineering at the University of Illinois and then founded his own firm in the Bay Area. A restless entrepreneur, Kacyra sold the business in 1989 and founded Cyra Technologies, a company devoted to creating more efficient means of surveying. In his long experience at construction sites, Kacyra had been frustrated by the imprecise methods used to record structures after they had been built, a critical task, since buildings can vary significantly from their original blueprints. Kacyra and his team settled on lasers as the most precise tool, and licensed a type invented at MIT for the "Star Wars" missile defense system. They then developed the means to measure the almost infinitesimal amount of time it takes a laser to travel from a scanner to a surface and back. This technology, known as "time of flight" scanning, led to the invention of a portable device that could create point clouds yielding the highly accurate digital blueprints Kacyra was after. Since the 1990s, laser scanners based on time of flight technology, as well as other methods, have been employed to create 3-D models of everything from aircraft to artificial limbs. One significant application of laser scanning is monitoring structural integrity. At nuclear power plants or offshore oil platforms, periodic scans can be used to monitor subtle shifts in significant equipment, anticipating potential failures before they happen. The application of 3-D laser scanning to archaeology is still being explored, which is where CyArk comes in. Once Kacyra sold his scanning patents to Leica in 2000, he moved on to the next phase of his life, nurturing the Kacyra Family Foundation, headquartered in Orinda, California, and dedicated to funding medical and energy research. But the destruction of the colossal stone Buddha statues in Afghanistan's Bamiyan Valley by the Taliban in 2001 led him back to scanning. "I thought, what if there had been a 3-D laser scan of the Buddhas?" says Kacyra. "A record like that would have meant so much. Nothing can replace the actual monuments, but a 3-D scan of them would have meant they would not have been so completely lost. I began to realize that cultural heritage sites are constantly at risk from not just war, but the elements and natural disasters." Convinced that 3-D scans had the potential to help the world's threatened archaeological and heritage sites, Kacyra founded CyArk in 2002. "I wanted to help promote the idea of digital preservation," he says. "It not only helps heritage professionals monitor at-risk sites, but helps promote education about their value." From the beginning, a cornerstone of CyArk's philosophy has been that 3-D scans should be available to everyone via the Web. Since its founding, CyArk has teamed up with a number of partners, from universities and museums to companies like Leica Geosystems and Google, to scan some 30 sites, including sections of Pompeii, the medieval areas of the city of Merv in Turkmenistan, and cliff dwellings at Mesa Verde National Park in Colorado, among others. Larry Weise, the park director at Mesa Verde, connected CyArk and Robles, and helped set up the pilot scanning project at Monte Albán's System IV. "Scanning, and the work that CyArk does, gives us a pretty important tool," says Weise, whom I meet in Oaxaca City. "You can spend one month drafting a site by hand, and in two hours you can get an even more accurate result by laser scanning. It speeds things up." Weise is on hand to participate in a "scanning summit," a workshop organized by Kacyra at a hotel in Oaxaca City around the occasion of the project at Monte Albán. In addition to Weise, participants include classicist Bernard Frischer of the University of Virginia, who has spearheaded the creation of a digital model of ancient Rome (see "Digital Archaeology 2.0," January/February), and Pete Kelsey, a manager at Autodesk, the company that makes the popular AutoCAD drafting software. While Collazo, Lee, and I are at Monte Albán, Kacyra convenes the group to discuss ways to broaden scanning's impact. The primary topic of conversation is what Kacyra calls "The 500," an ambitious plan to scan 500 sites in the next five years. The program is meant not only to collect data on endangered ancient sites, but also to stimulate the development of local scanning technology centers around the world. When we reach the hotel, we find Kacyra deep in discussions about the effort but eager to know how the scanning went. Collazo is due to present CyArk's data to Robles and her team from Monte Albán the next morning, so after a quick conversation, he retires to his room to crunch numbers. After a few hours of work, he has processed the point cloud and can manipulate it in a number of ways. With just a few clicks of the mouse, Collazo can resolve the points into a highly detailed, ghostly image of System IV. Robles and her team crowd into the hotel's conference room the next day for a look at the scans, which Collazo projects on the wall. In a few minutes, he uses the point cloud to generate architectural renderings of the temple, then he slices the structure up into discrete sections that can be measured and examined in minute detail. The archaeologists are particularly impressed when he zooms in on cracks in the façade. The flexibility of the information is especially exciting to those in the room who have spent hours under the Oaxacan sun measuring every square centimeter of a Zapotec stone structure--probably mostly everyone here, actually. "You can use this for predictive modeling," Collazo explains to the group. "You can determine what components of the structure are potentially at risk for collapse. You can use it for hydrological analysis, to see where water goes in the structure." The list of applications goes on and on, as dozens of different views of System IV flash across the wall. It's almost as if the temple is haunting the room. CyArk is not the only organization promoting laser scanning at heritage sites. Teams around the world are busy scanning at monuments as varied as the ruins of Petra and the moai of Easter Island, where two teams are collecting data on the island's famous stone statues. Autodesk's Pete Kelsey, who also has a background in geology, was on vacation when he got his first taste of digital preservation two years ago. After visiting clients in South America, he decided to take a few days for himself and go to Rapa Nui, or Easter Island. "I had my surveying equipment and mapping software," says Kelsey. "But I was just a tourist. So I decided to ask around and see if anybody on the island would be interested in the tools I had." He soon learned that Rapa Nui archaeologist Sonia Haoa was in the middle of a multiyear mapping project aimed at making a complete survey of the island. After spending three days with Haoa's team, Kelsey knew that laser scanning would be a great help to the effort. Later that year, he assembled a team drawn from American-based surveying companies. Outfitted with two laser scanners, one long range and one short range, they joined Haoa in the field for four days. They managed to scan seven archaeological sites, including the Rano Raraku quarry where the island's famous moai were sculpted. The high-resolution data from the scans were then incorporated into Haoa's master map. "Those monuments are so important to the people of Easter Island," says Kelsey. "The lifeblood of the island is tourism, so any tools that help them monitor the moai and the sites are pretty important." The Easter Island data, including high-resolution scans of many of the moai, will soon be publicly accessible through CyArk's website. Another scanning effort underway on Easter Island is being led by UCLA archaeologist Jo Ann Van Tilburg. 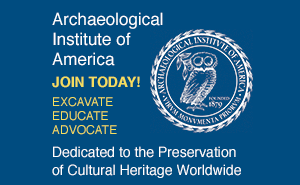 Her team plans to use close-range laser scanning to document all of the moai on the island prior to conservation work (this project is supported by the Archaeological Institute of America, which publishes Archaeology). Close-range scanners work on a different level of detail than the long-range ones used to record sites, and are accurate to within 50 microns, narrower than a human hair. As a test, Van Tilburg's team has scanned a moai in the British Museum's collection. Known as Hoa Hakananai'a ("hidden friend" in Rapa Nui), the moai is probably the most significant one outside of Rapa Nui, and is especially notable for intricate petroglyphs that were incised in its back. "We wanted especially to see what kind of detail we could get on those carvings," says Tilburg, who is studying the scans to determine whether certain glyphs were made with stone adzes or metal tools. "We are still experimenting with the technology, but we think it might be possible to use scanning to measure the rate at which the moai are eroding, which will be an immense contribution to their preservation." Laser scanning is hands down the best technology for documenting stone sculpture, according to Lori Collins, an archaeologist at the University of South Florida. She and her colleague Travis Doering run an office at the university that, inspired by CyArk, encourages use of laser scanning across academic departments in diverse fields such as engineering, urban planning, and environmental studies. They also are in charge of an effort to collect high-resolution scans of ancient stonework in Latin America. For the past six years, Doering and Collins have traveled to sites such as the Olmec center of La Venta in Tabasco, Mexico, and the Preclassic Maya city of Kaminaljuyu in Guatemala to use close-range scanners to document steles and other stone monuments. The project has so far created scans of more than 200 stone sculptures (research.famsi.org/3D_imaging). The scan of one monument in particular, Stele 65 at Kaminaljuyu, has revealed previously unknown carvings that had been obscured by later glyphs. "Another benefit to this type of noncontact, nondestructive documentation is the ability to use the data to create exact replicas," says Doering. Detailed re-creations based on scans can replace monuments that are at risk of being looted or damaged. He and Collins are now working with authorities at La Venta to make exact replicas of Olmec stone monuments that were vandalized late last year. Collins and Doering have also had experience in long-range scanning of archaeological sites. They are currently engaged in a laser survey of Florida's historical sugar mills, but they are probably best known in the state for their scan of the famous Miami Circle. Consisting of a series of holes forming a perfect circle in the limestone bedrock of downtown Miami, the site is thought by some archaeologists to be the foundation of a prehistoric ritual structure. A laser scan of the site before it was covered as a protective measure yielded a highly detailed map that revealed distortions in previous measurements of the site. That data became even more important when a second, similar circle was discovered only 800 feet away. Known as the Royal Palm Circle, the site was uncovered during development that was halted only briefly. Collins and Doering were able to conduct a quick scan that confirmed it was almost identical to the Miami Circle in size and layout. A conventional map on the same level of detail as the scan could not have been made under the time constraints within which the archaeologists were working. With the pilot study at Monte Albán finished, Kacyra asks Robles if there's anything else she'd like scanned, since Collazo and Lee have a couple of days to spare. There are thousands of sites in the Valley of Oaxaca, and hundreds in the vicinity of Monte Albán, but there is only one that Robles wants the team to scan. A rock climber recently discovered a set of Zapotec hieroglyphs carved on a cliff face not far from the city (certain details of the site have been changed to protect its location). The catch is that the glyphs are under a narrow overhang high in the cliff. Not even her smallest student can fit into the space, and only a few glyphs can be read accurately from outside the overhang. Robles wonders if Collazo and Lee can use the scanner to record the hieroglyphs. It's an unorthodox request, a far cry from scanning a large ritual structure. Over a dinner of chicken mole on the town square, I listen in as Lee and Collazo discuss the challenge with Robles's protégés, who include archaeologists Ricardo Higelin and Lucia Cázares. The site is difficult to reach, and will involve hauling the scanner up the cliff by rope, but the prospect seems to invigorate the group. Lee and Collazo discuss how they'll position the scanner, since a tripod will not fit on the narrow ledge just outside the shelf. They decide to build a small platform on the cliff face out of wooden planks, a decidedly low-tech solution. The next morning, the team drives to the site and wraps the scanner securely in foam and cardboard. After Lee and Collazo scramble up to the shelf, they haul the scanner up more than 200 feet. The machine is sturdy enough but still takes a couple of heart-sinking hard knocks against the cliff. Collazo then builds a wooden platform for the station. You won't see this technique illustrated in any manual, but somehow he is able to make it work. He takes a series of improbable scans and can tell he has captured the symbols, though whether they will be of high enough resolution to be deciphered will be something for the Mexican archaeologists to figure out once the data have been crunched. After the scanner comes back down the cliff in one piece, everyone breathes a sigh of relief. "I love the unexpected applications of scanning," says Lee. "Capturing hieroglyphs was the last thing I expected to do when I came down here, but that's how it goes. Who knows what we'll be doing with this technology in 10 years?" 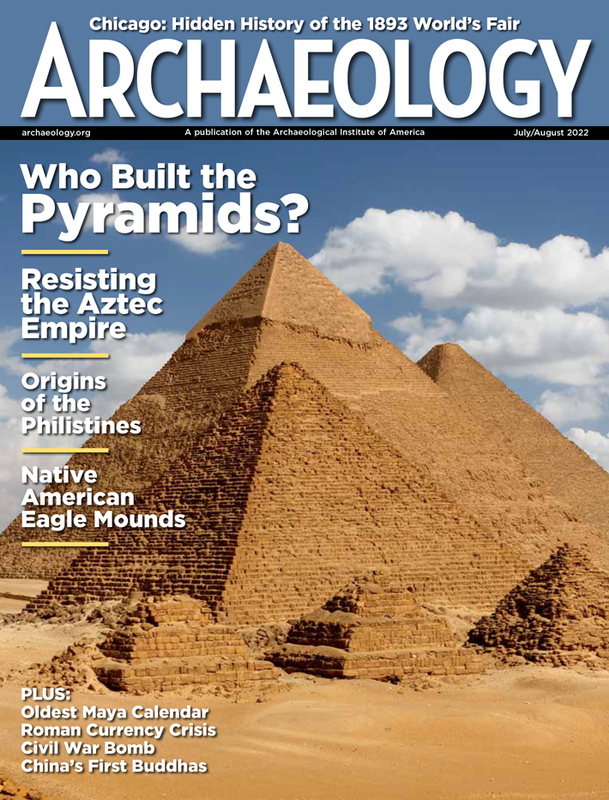 Eric A. Powell is deputy editor at ARCHAEOLOGY. Visit www.cyark.org for more on the Monte Albán scanning project.